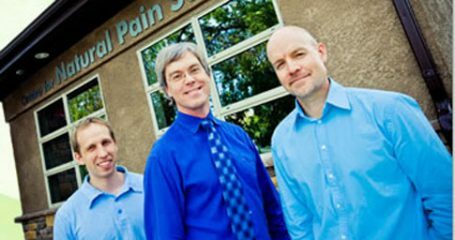 The Centre for Natural Pain Solutions located in Winnipeg Canada is an interdisciplinary pain centre providing assessment and management of pain for patients seeking a natural approach. We focus on the diagnosis and treatment of neck and back pain, muscle and joint pain as well as pain resulting from arthritis and fibromyalgia. Knowing that each individual’s experience is unique; our doctors take the time to understand and treat the underlying cause of pain and to also educate patients to become active participants in their own health and wellness. Our recently built clinic has attracted like-minded practitioners who together provide an interdisciplinary approach. This means chiropractors, naturopathic physicians, podiatrists and massage therapists work as a team to diagnose the cause of pain. From there our practitioners work together to develop and execute a complete treatment plan using standardized protocols unique to our centre. This natural perspective on pain and disease will open up new avenues for treatment and often this is the turning point that allows for recovery, where recovery was not possible before. Discover the wisdom of your body and the natural approach to true health and healing. 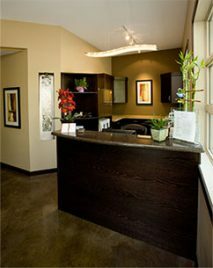 Dr. Dan Roch, Dr. Sean Ceasar and Dr. Scott Morrow offer a full range of Naturopathic and Chiropractic treatment options.